In "Doryphoros", the sculpture explores, rhythm, commensurability, and proportion to a greater degree than almost any sculpture that predates it. This sculpture helps usher in the Classical Age in Greece. 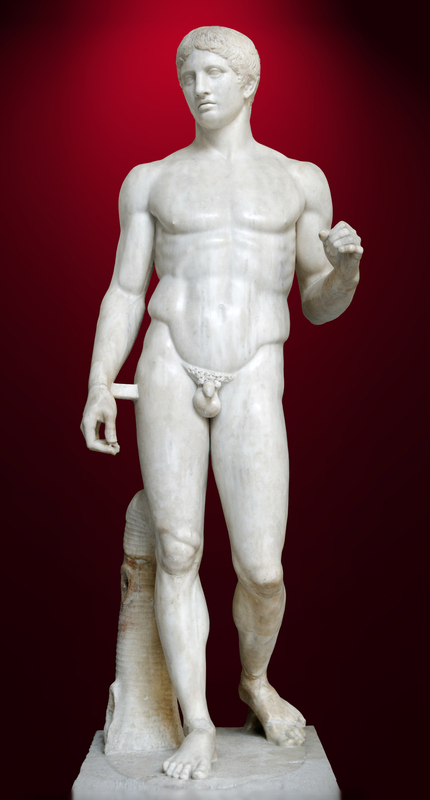 A well-preserved Roman period copy of the Doryphoros of Polykleitos in the Naples National Archaeological Museum.